"Last night I had a queue outside the door of the bedroom ... There were 11 ... I only did eight because I could not do it anymore." 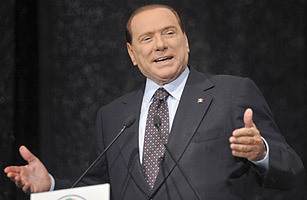 Magistrates investigating entrepreneur Gianpaolo Tarantini for paying women to sleep with Berlusconi in 2007 and 2008, released wiretap conversations with the Italian Prime Minister, who boasts sleeping with eight women and laments his political obligations to Gordon Brown, Nicolas Sarkozy and Angela Merkel as interfering with his active "social life."